Thanks for publishing your rules they look like a lot of fun. I am familiar with the WAS rules and I agree they would make a much better foundation for a Starships game than SSB. Couple things, have you thought about eliminating a map entirely and using tape measure and firing arc templates instead. This would be a more typical approach for miniature games. Also I see you ported over the sub rules/ship types. I never thought of sub warfare having an analog in the SW universe can you discuss why you decided to add that element to the game? That having been said, in lieu of using the name Sub how about one of the following: Cutter, Star Skiff (Padme's ship was classed thus), Blockade Runner, Torpedo Boat, or Gun Boat. I am looking forward to giving your rules a try. Well the thing is both players are required to bring a map to play. But you have to admit it makes it much harder. I know I only have 1 map, and my chances of giving the 2.0 version a try just dropped dramatically with the need for 2 maps (unless I draw up my own map, which would just be plain ugly). This isn't the same as SWM; for SWM, often most people who come to the LGS to play don't bring their own maps either, but it doesn't matter so long as there is at least 1 map available. I bring my maps for everyone to use, so this isn't a problem. I'm also curious to see what this solution to creating a hex map using 2 square grid maps is? I'm sure there has to be a better solution which involves only 1 square grid map. I know many people argue the superiority of a hex system, but the reality is getting together 2 maps is going to be a pain for many people (both for playspace, and for acquiring the maps). well really considering we are not having sanctioned tournaments it is really up to you how you use the maps. But for tournament play that will be what is needed say like at Gencon. Not really, this isn't to do with tournament play. If the rules require a hex map, that's what we'll need just to play. If the rules require 2 x regular SSB maps, that's what we'll need just to play. If we're talking about GenCon and everyone has to bring a map, that's fine, but I'd rather see a set of rules that considers the realities of casual LGS play, rather than tournament play. I would like to see a rule set that allows me to play using what I already have, and without requiring me to either buy another starter, or find someone else who has a 2nd map. It should be playable right out of the box, meaning a new player could buy a standard SSB starter and be able to play. Anything else really isn't "SSB 2.0" to me. I hope I'm not being misunderstood here, but I think my concerns are along the same line as what Boris is saying. Having a 2.0 ruleset that is playable immediately out of 1 starter I think would be a great thing to see, and would do far more for getting people interested in playing. Well Again Eric and I discussed this and one of the things I think makes it pretty fixable and I will let him chime in. Take you ranges from your ships and knock them down by one if you play on a single map. That is a pretty simple fix and then you can play on a single map. But for Big tourney play or until maybe we can get JC to make us a map then it will be 2 maps. I'm starting to get excitied about SSB again, I hope I'm feeling okay. You might want to read the following article that details how to play WAS without a map. It might give you some ideas. I also agree with BTD and Wedge that the map issue could be a serious barrier to entry for 2.0. Whatever the solution I will give 2.0 a go. Dean I think we are all excited about SSB 2.0. So far I really like what I have seen with the new rules. I am very eager to try them out. My main concern is how to playtest the rules without a map. I was thinking that if we get JC involved now, he could have something whipped up in no time. It would be pretty easy without all the terrain lines and artwork. That way we might at least have something before or at least at GenCon for purchase. I don't want this to take away from the great work that is being done. I also understand the map is not the top priority. 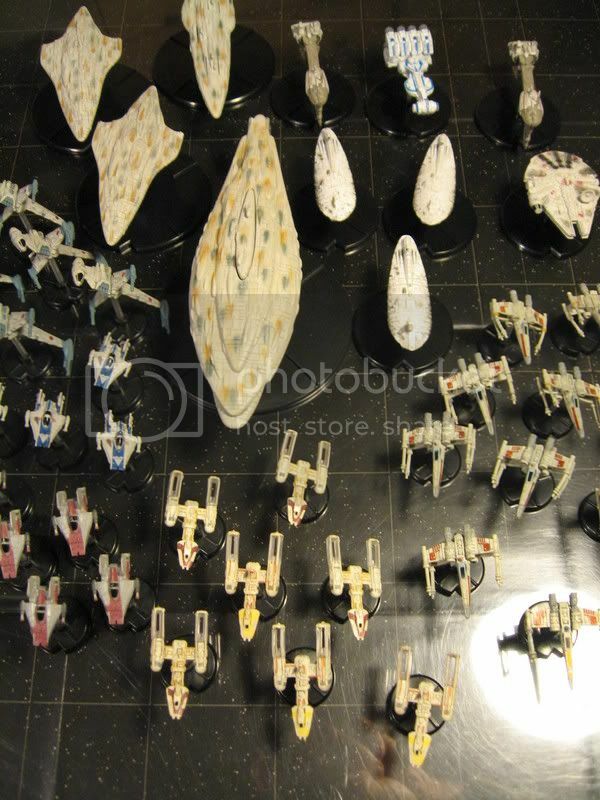 I know that I am just so excited to get my SSB ships out of storage and play with again. I bet there are many other people who feel that same way. Hey Eric how about using the word Vanguard before class/ship/fighter/cruiser? the leading units moving at the head of an army . 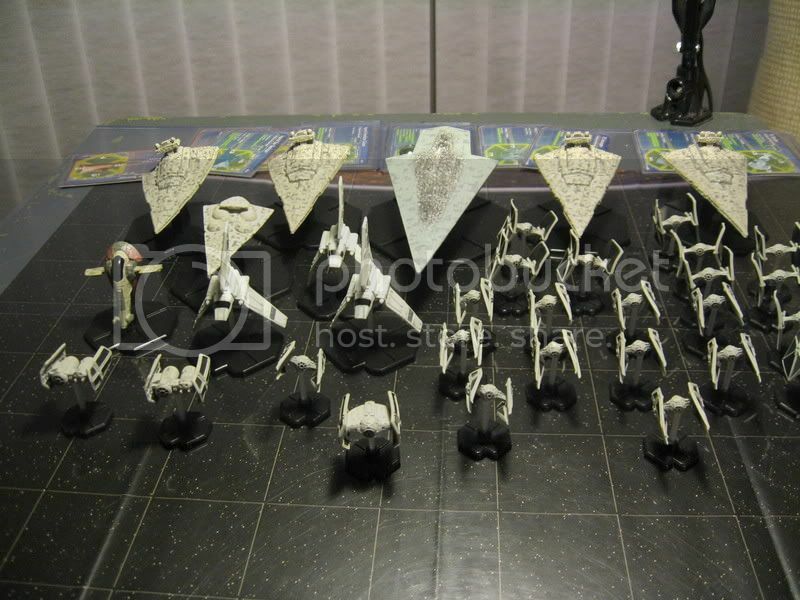 I can't wait to dust off my fleets! Thanks, I like it. It sure sounds better than Subs, but still does not make me think of space ships. If nothing else, it sure sounds like a great special ability for Subs. Vanguard - can deploy on your opponents side of the map and can not attack on the first turn.